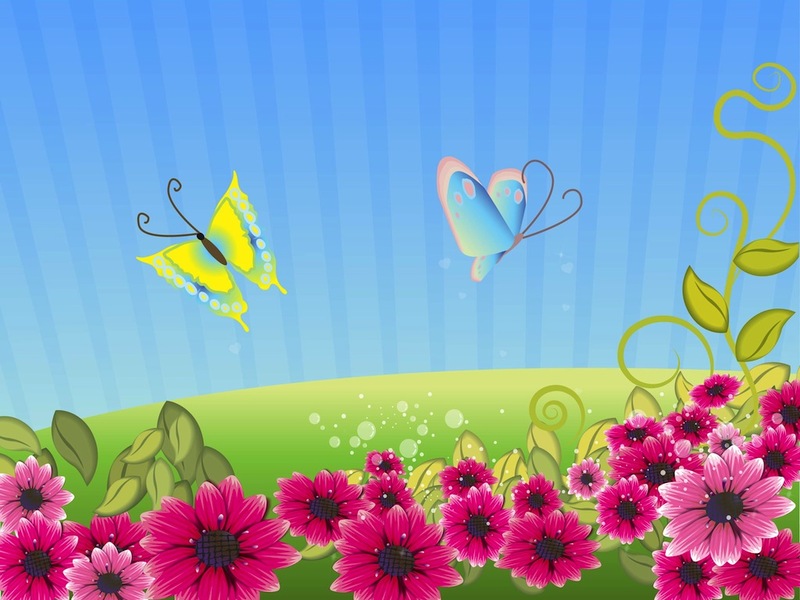 Vector illustration of blooming flowers and colorful butterflies flying above them. Lush summertime field with many flowers with detailed petals, swirling plant stems and beautiful butterflies with bright colored wings. Free vector graphics for all wallpapers, backgrounds, postcards and posters projects. Tags: Butterflies, Field, Floral, Flowers, Landscape, Petals, Plants, Summer.